What do you see in this chart? The astute among you may notice the ticker symbol on the far right of the chart, identifying that price series as AMZ – the Alerian MLP Index, which was an unstoppable force between 2009 and mid 2014 before MLPs collapsed in 2015 under pressure from a halving of crude prices. A year later, in 2016, MLPs prices hadn’t significantly rebounded. And then we had a fresh wave of selling earlier this year upon a FERC ruling which threatened to take away some of the tax advantages of MLPs. Add it all up. And you have Oil prices rallying back into the $60s, but MLPs mostly failing to keep pace. But…but…but… The Yield. As a refresher on the structure of an MLP. MLP stands for Master Limited Partnerships, and they are generally used in the energy industry as a way to raise capital for drilling and pipeline projects and the like, paying a hefty yield in exchange for the capital deployed through the MLP structure. You can think of it as a mutual fund which invests in private oil and gas deals instead of public stocks, but pays yields like a bond fund. The Alerian MLP Index above currently yields about 8% per year. The draw of the sector has always been the high yield. So, that’s the landscape – a questionable price series with volatility, drawdowns, and (recently) sideways action – juxtaposed against a juicy 8% yield. What does an investor do? Ignore the price action to capture the yield. Ignore the yield to avoid the price action? If your name is Emil Van Essen, you do a hybrid of both. You see opportunity in the chart above – not only in terms of potential rising prices but even more so because of that juicy yield. His new MLP investment program was designed to do just that – capture the yield while hedging out the commodity price risk, and we were lucky to sit down with Emil recently to get his take on all things energy (a future post) and MLPs (this post). First, off Emil, can you talk a little bit about MLPs and why you see it as an opportunity in the coming years? The fact is the distributable cashflow generated by MLPs are (likely) going to go up every single year, for the next several years. In the end, these are paying high yields, they are growing, and (all you have to do is) wait out the important issues, and let the businesses grow, because you are getting paid for it. The infrastructure demands are there for MLPs, there’s a huge demand, and because the infrastructure is getting tight, the margin on building these pipelines are high. If you build a pipeline, it’s going to be filled up right away. You can charge what you want relatively speaking. Crude Oil markets have been very volatile over the past couple of years. How does your model tackle that in regards to MLPs? We don’t consider this an oil speculation fund via MLPs. Why would we want all the excess risk? So we hedge out of the oil risk, and from time to time, the S&P risk (to isolate the MLP yield and take as much of the Oil market volatility out of the investment as possible). What are your thoughts on the correlation between MLPs and crude oil prices? There is a high correlation between MLPs and crude oil prices. That being said, whether oil goes up next week or next month has almost no impact. [The higher correlation may be rig count and MLP prices.] We know MLP performance lags rig count by about a year. When there’s not a lot of drilling, we know there’s not a lot of need for infrastructure. It took prices down dramatically and they have tended to stay low. It’s amazing to me now, that [oil prices] have rebounded, rig counts are going up and MLPs are still near their lows, which means their yields are high even in a growing environment. What are some possible risks in that MLPs face? Oil prices collapsing [is always a risk]. [On an Oil price drop] Probably within 3 to 6 months you see rig counts start to drop. And probably in a year, you see MLP revenue go down. The thing you have now is you have a whole bunch of wells that have been drilled but not completed. Thousands and thousands of wells. So, it will take some time even if the rig counts go down to finish the drilled wells that haven’t been finished yet. Why don’t you just invest in the Alerian MLP Index or similar? We think the indices tend to be overweighed to the top 5 MLPs. We think there are a lot of better opportunities in the midsized MLPs. We can be a little more selective in the MLPs we select and we can rebalance. Let’s talk Yields. MLPs are known for their yield. How big of a yield do MLPs offer? The average MLP yield is in the nine percent range. On the smaller ones, it tends to be a little higher. The mid-sized have higher yields, even though they are just as safe. You’re talking about closer to 10% yields. Does a rising interest rate environment pose a threat to MLP yields? Yields are huge. Some people think that if rates go up, it’s going to sort of make MLPs less desirable, but we aren’t even close to that yet. The half a percent increase from the Fed isn’t affecting them. The big pipeline companies tend have most of their projects financed long-term; they have an average duration on their deb of more than a decade. The Emil Van Essen MLP Yield Capture Fund was up +6.29% in April and May, and sits down -0.46% YTD; as compared to the Alerian MLP index down -0.91% YTD – showing the benefits of the hedging component. 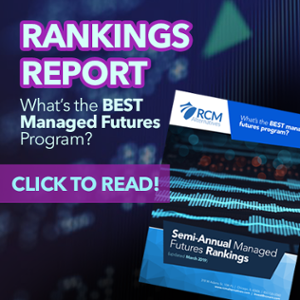 To find out more about the MLP fund, email us at invest@rcmam.com to see the program’s details and performance stats.